Numerous attorneys says Travis County Sheriff Greg Hamilton's participation in Immigration and Customs Enforcement's controversial Secure Communities program could lead to lawsuits. Barbara Hines, co-director of UT-Austin’s Immigration Clinic, is one of the dozens of attorneys who delivered a letter to Travis County Commissioners warning they may be sued for participating in Secure Communities. "An ICE detainer is not a warrant, an ICE detainer is not an order from an immigration judge, it’s an administrative piece of paper,” Hines says. But those detainers keep people behind bars while authorities investigate their immigration status and launch deportation proceedings. Denise Gilman, also with UT’s Immigration Clinic, says many of the detained have not committed any crimes. She says some have been detained "for offenses such as failing to pay a traffic ticket, or in one case, stepping off the sidewalk during South by Southwest – [and] ending up in detention and deportation proceedings." With Pres. Obama recently softening his stance on deportations, Hines believes there is momentum to stop Secure Communities in Travis County. 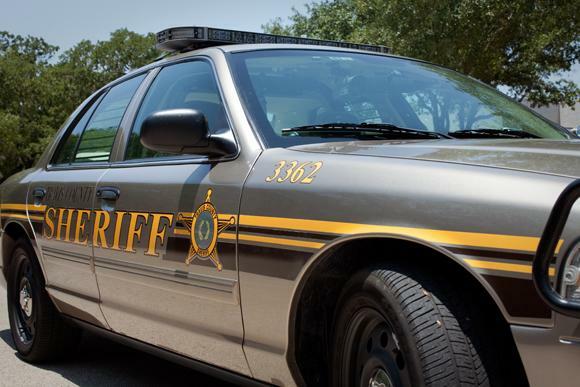 Sheriff Hamilton disagrees – his department, along with every other county in Texas is part of the Secure Communities program. That may be costing Hamilton some political capital though: the Travis County Democratic Party recently passed two resolutions condemning participation in Secure Communities. "Travis County is among the nation’s leaders in deporting immigrants for non-criminal offenses, and that does not sit well with many in our progressive community," party communications director Joe Deshotel says in a statement. Over 100 students, faculty, staff community supporters gathered at the University of Texas campus this afternoon to protest a so-called “Catch an Illegal Immigrant” game that was originally planned for today. 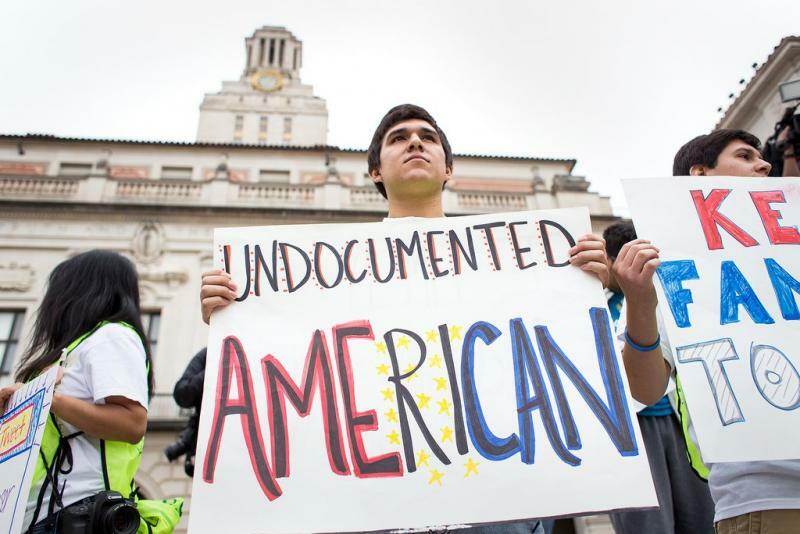 The event, proposed by the UT chapter of the Young Conservatives of Texas, called for students to track down and return volunteers wearing shirts reading “illegal immigrant” in exchange for a gift card. The group called off the event earlier this week in the wake of widespread condemnation. But people gathered on campus today to protest the motivation behind the game. Protesters gathered on the UT campus to protest President Obama’s immigration policies during his speech today at the Civil Rights Summit. 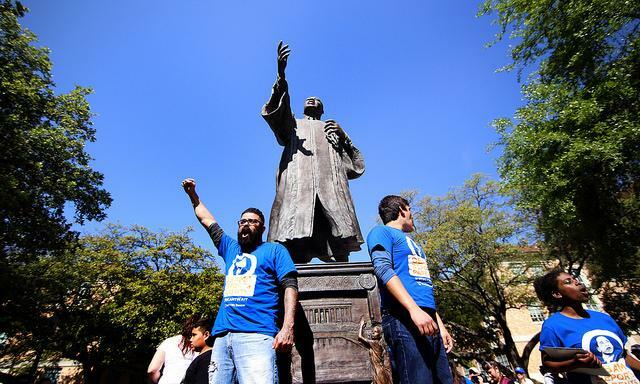 Some chained themselves to the statue of Martin Luther King, Jr. on campus and many brandished signs deriding the president for strict deportation strategies in light of the event which highlights equal rights.